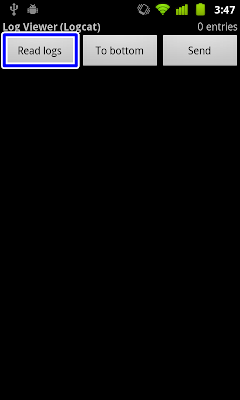 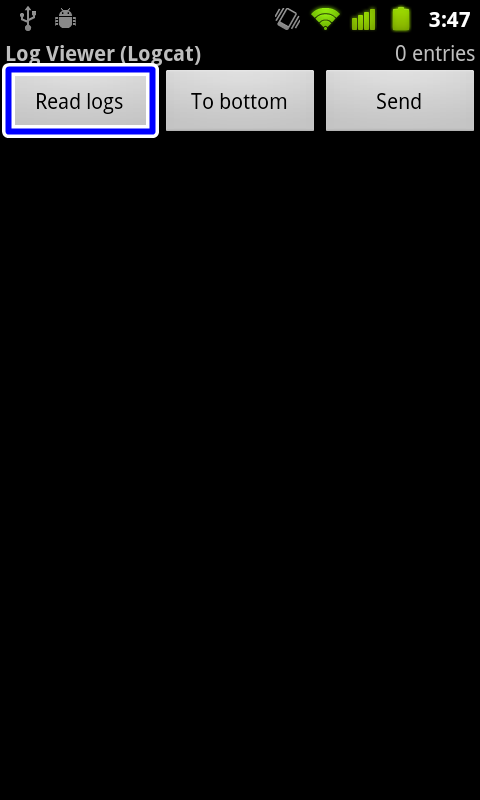 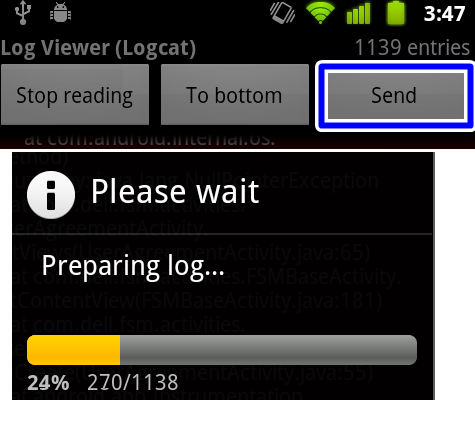 EntireQAStuff: How to get the log file from an Android device / Check and send the crash logs from Android. How to get the log file from an Android device / Check and send the crash logs from Android. 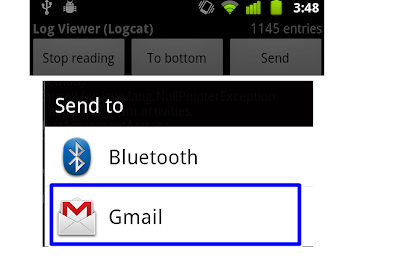 Below are the steps to get the log files from an Android device. 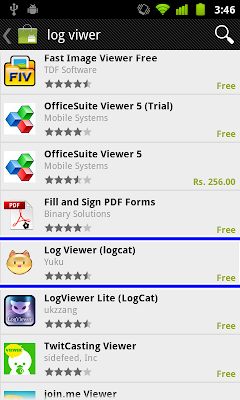 As a tester, will send these log files to the development team for the quick fix . 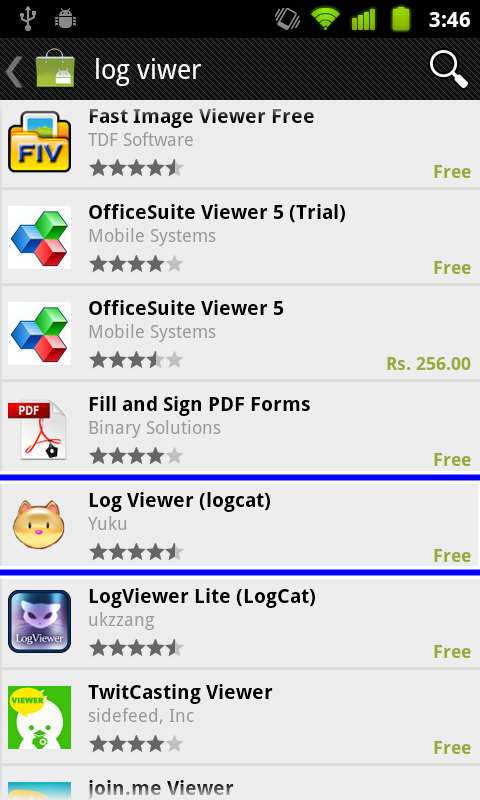 You will need to download and install log viewer (logcat) to the device from android market.